Preparing for the challenges and opportunities that face UK agriculture will require lateral – and in some cases radical – thinking from farms and rural estates, according to Strutt & Parker. 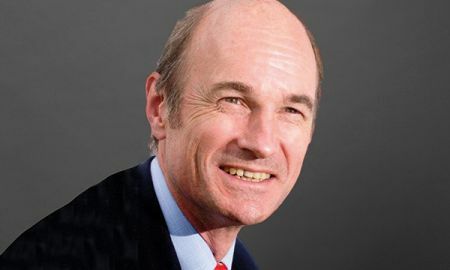 Speaking at the 2019 Strutt & Parker Rural Land Briefing, George Chichester (pictured), a director in the farming department, said agriculture was still dealing with a large number of ‘unknowns’ about the future, with the UK’s scheduled exit from the European Union just weeks away. Although the government has published its Agriculture Bill, which sets out how the Basic Payment Scheme will be replaced by a new Environmental Land Management scheme delivering ‘public money for public goods’, it is not yet clear how much money will be available to fund this work, Mr Chichester told attendees. Meanwhile, the outlook for commodity prices remained uncertain while question marks surround the UK’s future trading relationship with Europe, he said. Mr Chichester said UK farmers had traditionally been reluctant to share machinery and labour, but there was strong logic to the approach, as a way of reducing costs. Farms and estates should also decide whether there was potential to diversify to use their assets differently. “Rather than investing in a grain storage upgrade, would some landowners be better to send their crops off to store elsewhere and invest capital in building conversions instead in order to obtain a rental stream?” he said. Alternative crops were another option worth exploring. “We do not know what trade deals we will end up with, but if we go down the government’s intended route of more free trade with countries other than EU member states, then we need to think beyond staple world commodities such as feed wheat. Edward Mansel Lewis, head of Strutt & Parker’s viticulture group, explained there has already been significant growth in the number of people planting vineyards in the UK, particularly in the south of England. “Climate change means that southern England is the ideal temperature for growing cool climate grape varieties and the region shares the same cretaceous soil as the Champagne region of France. “Investment by champagne houses Taittinger in Kent and Pommery in Hampshire has added credibility to the UK as a wine-producing region,” he added. Mr Mansel Lewis said by 2040 it is estimated the UK could be producing 40m bottles of wine a year with a retail value of £1bn. Mark McAndrew, head of the national estate and farm agency department, said overall farmland prices had proved remarkably resilient in 2018, with values being supported by strong interest from non-farming buyers. According to the Strutt & Parker Farmland Database, the average price of arable land in England rose by 2% in 2018 to £9,400/acre, although there was a wide range of values achieved which are not immediately apparent from average prices. The price of arable land in England during 2018 ranged from a low of £4,575/acre to a high of £15,000/acre, with sold prices highly dependent on local demand. Mr McAndrew said in the short- to medium-term his expectation was for a widening in the range of values achieved.